The chain has opened a new venue in Dubai’s Mercato Mall as it attempts to become the region’s largest operator. VOX Cinemas has underlined its growth ambitions for the region with the announcement of a new seven-screen venue at Dubai’s Mercato Mall, with more openings to follow in 2013. The cinema is the second new movie-spot opened this year by the chain, following its unveiling at Fujairah City Centre last month, taking its tally in the emirates up to seven. The company – owned by Majid Al Futtaim’s Ventures arm – is planning to double its presence in the region this year with further openings in Lebanon and Oman, in an attempt to become the Middle East’s largest cinema operator. Ahmed Galal Ismail, CEO of Majid Al Futtaim Ventures, said: “We are delighted for Mercato to be the next step in our expansion plan as VOX Cinemas more than doubles our screen count in 2013. 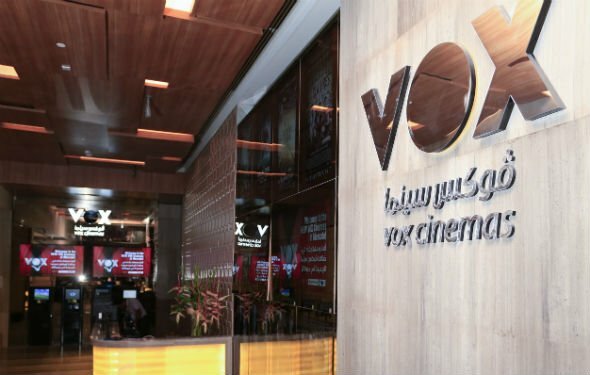 VOX will hope to capitalise on the flurry of summer film blockbusters on the horizon as it attempts to keep pace with its competitor REEL Cinemas, which owns a monopoly at Emaar’s The Dubai Mall and Marina Mall. VOX also counts screens at Mall of the Emirates, Deira City Centre and Mirdiff City Centre amongst its UAE stable. Cameron Mitchell, CEO of Majid Al Futtaim Cinemas, described the new venue in Jumeirah: “Mercato is renowned for offering a bright and premium shopping experience with the mall’s inviting décor and exclusive selection of stores. “We were determined to create a bespoke and customised VIP cinema offer to the discerning Jumeirah community, ensuring that guests could enjoy an enhanced cinema experience in absolute comfort,” he added.